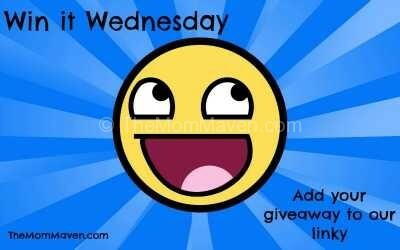 Happy Win it Wednesday Giveaway Linky Day! I have been watching the news and so many of you are in ridiculously cold weather, I am so sorry for you. Hopefully you are home and cozy and the power is still on. Here in Florida we are supposed to make it to the mid 50s today, which is cold to us but of course, nothing like many of you are experiencing right now. Can you believe this is the last Win it Wednesday of January? We are already one month into the new year! How are you doing on those resolutions? I haven’t been to the gym yet but I’m doing very well on my meal planning and keeping the kitchen and dining room uncluttered so 2 out of 3 isn’t too bad, right?